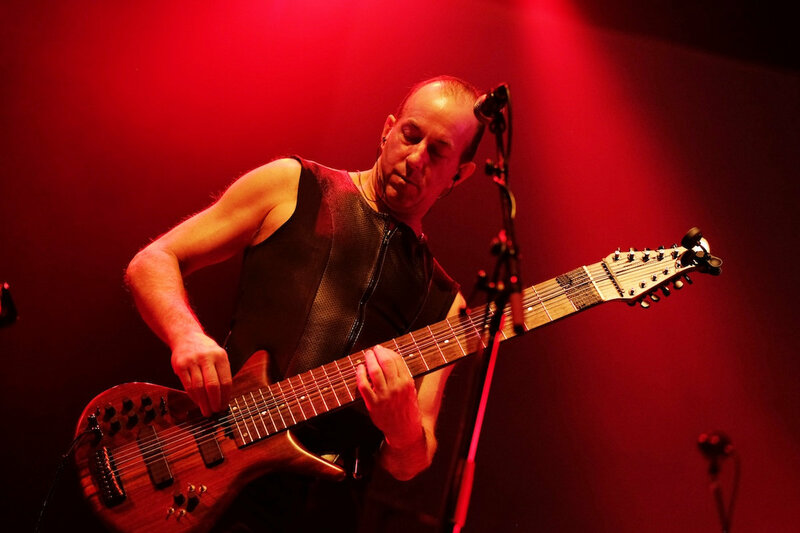 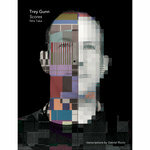 Touch guitar freak and music coach Trey Gunn (King Crimson, TU, KTU, Quodia, 3Below) draws from his performing and recording catalog for this pioneering book. 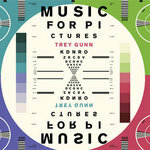 Notated down to the fine details, this collection will open doors for any tapping musician, or for those curious about how this music is constructed. 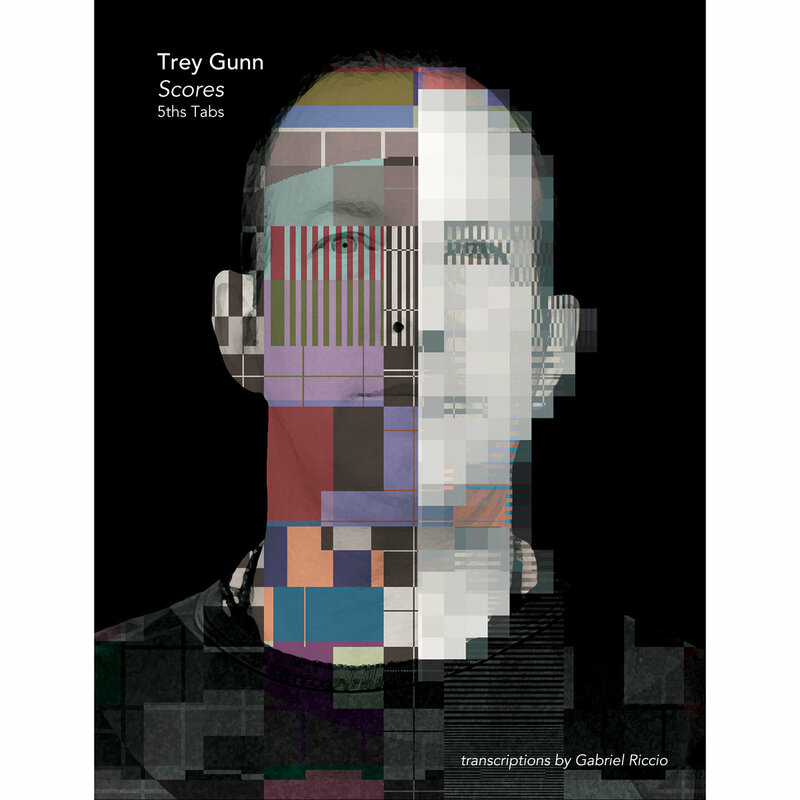 Thirteen compositions from Trey's catalog, plus a bonus transcriptions of his parts from the King Crimson piece "The ConstruKction of Light." 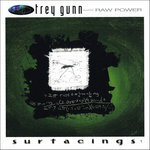 Beautifully spiral bound in a 12"x9" text. 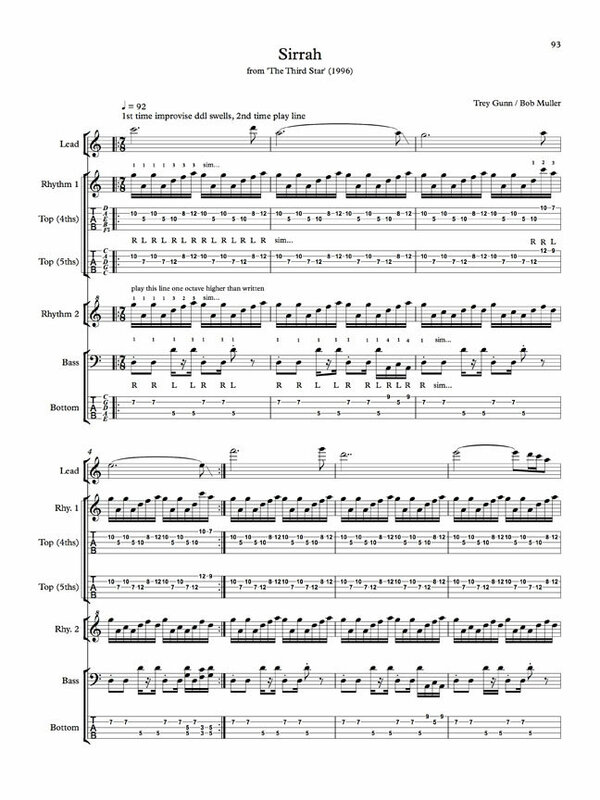 In the hard copy, the top-side tabs are in, both, 5ths and 4ths. 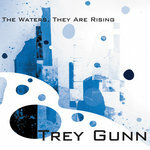 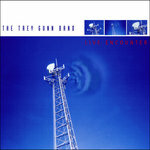 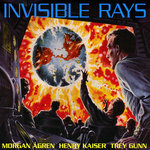 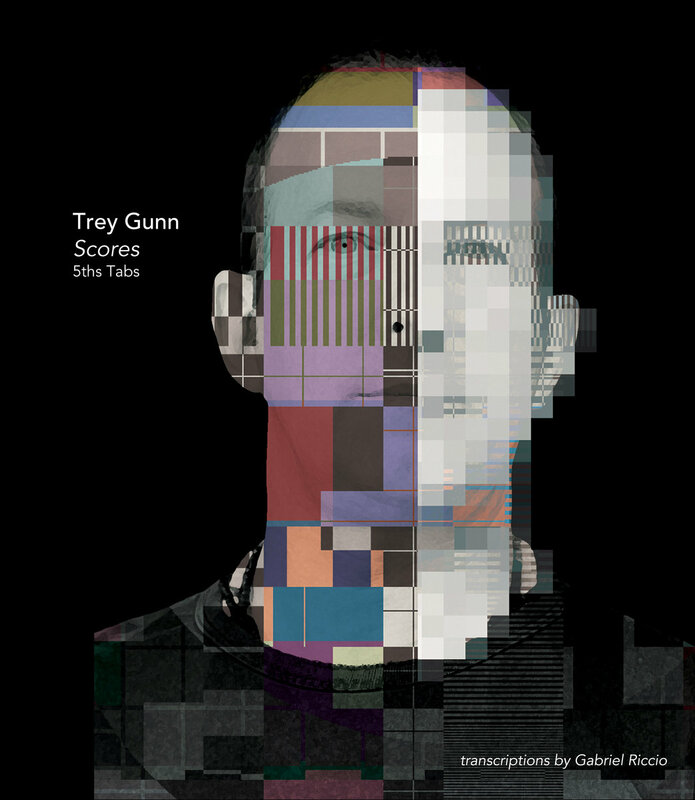 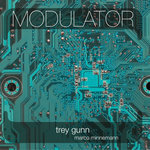 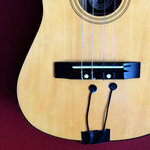 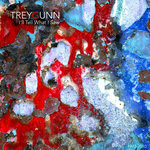 This package include the digital 'expanded' edition of the Trey Gunn "Scores" book. 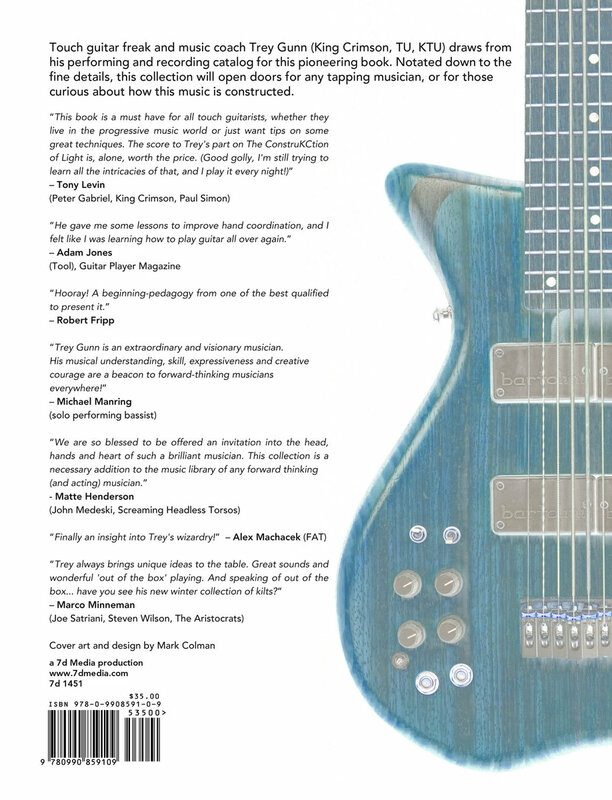 The enclosed 136 page, PDF includes all the pieces in the hard copy version of the book with the addition of a 22-page full-band, transcription of King Crimson's "The ConstruKction of Light." 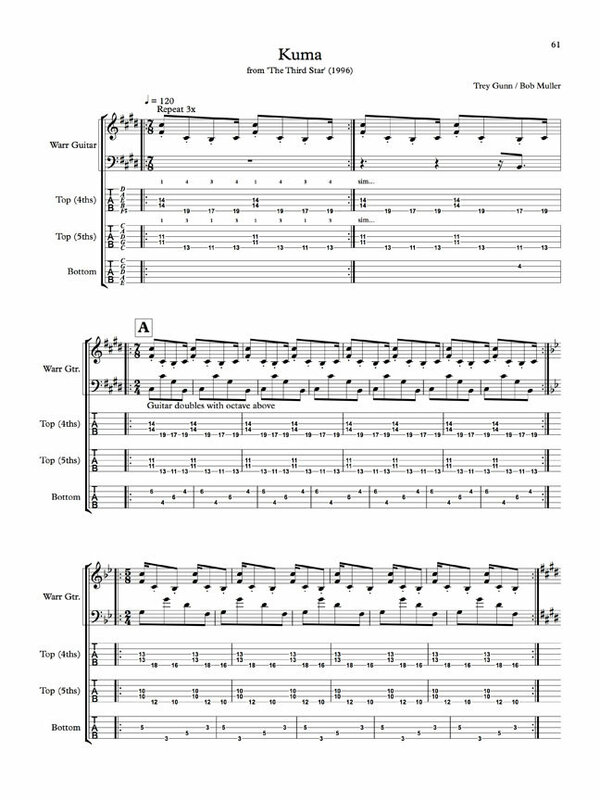 There are two digital versions included here -- one with top-side tabs in 4ths and one with top-side tabs in 5ths. 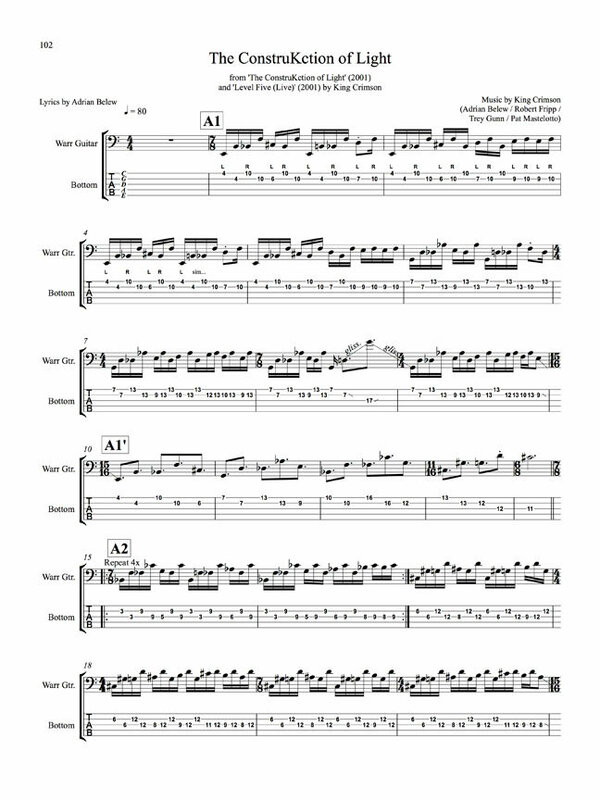 All of the bass parts are tabbed in standard 5ths. 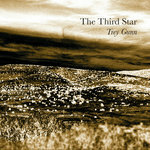 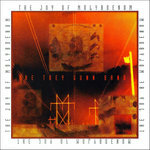 from the CD "The Third Star"